Compression socks are usually thought of as a recovery aid. Q36.5 have rethought their design, to make them ideal for active use whilst riding. They use the same lightweight microfilament as the Ultralight socks, but in a more compact knit and with higher elastane content for greater stretch. 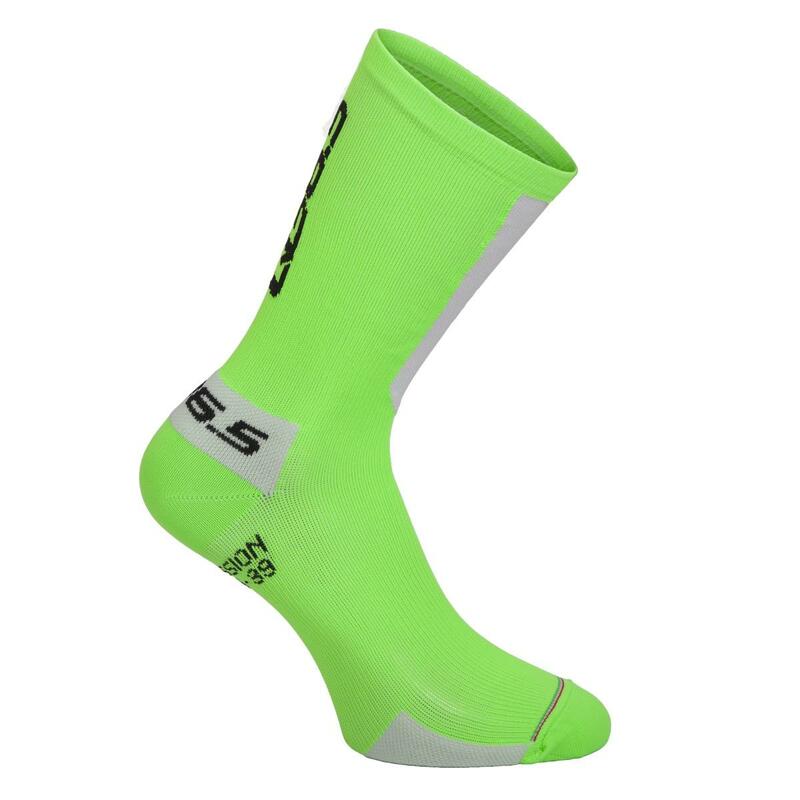 This allows for the construction of a lightweight 32g active compression sock that can be comfortably used in full summer on performance rides, when reduction of muscular fatigue is most needed. Designed with a 'cone' shape for gradual "pump action" compression of the foot, with density increasing from the top to the bottom. They feature the same Achilles and metatarsal ribbed padding as the Ultralight.